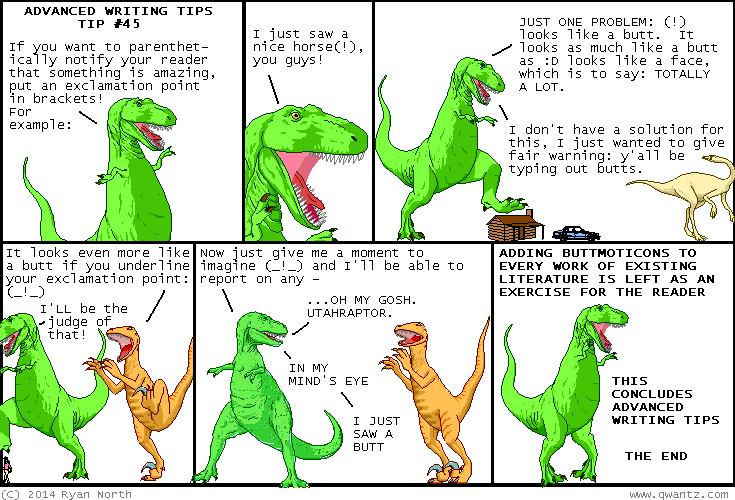 Dinosaur Comics - June 10th, 2014 - awesome fun times! June 10th, 2014: Hey I have a twitter account! I use it mostly to post about stuff. INTRIGUED?? Dinosaur Comics has one too!